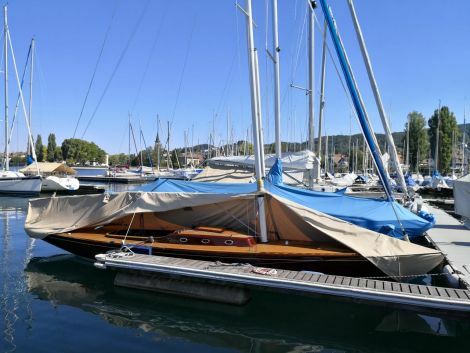 The Lacustre with sail number 255 was built in perfection down to the last detail in Fussach in Austria on Lake Constance in 2000 by Gernot Kulhay and Markus Bilgeri (www.yachtwerft-bilgeri.at). 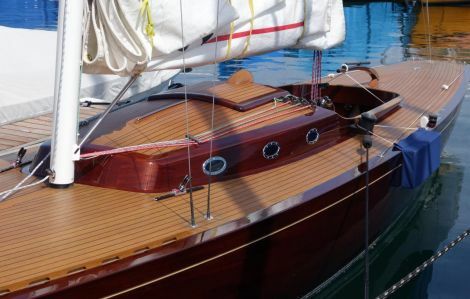 This Lacustre is one of the most beautiful, molded wood lacustre ever built (four layers, outer and inner layer, each longitudinally). He is in perfect, mint condition today. 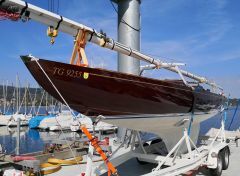 The 2K paint is elaborately protected with Swissvax and radiates dark brown deep shine. 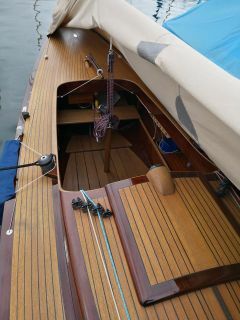 The current good was renewed by Dyneema. 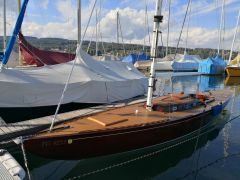 A valid certificate is available. 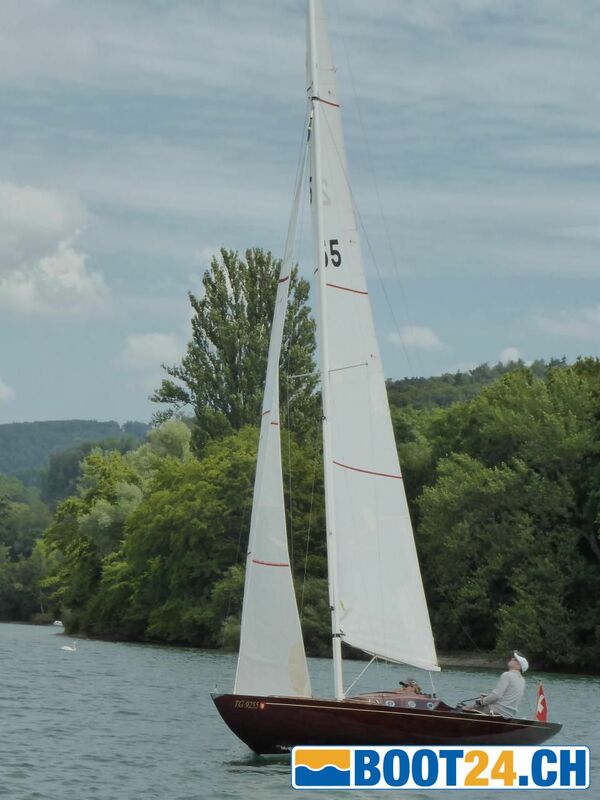 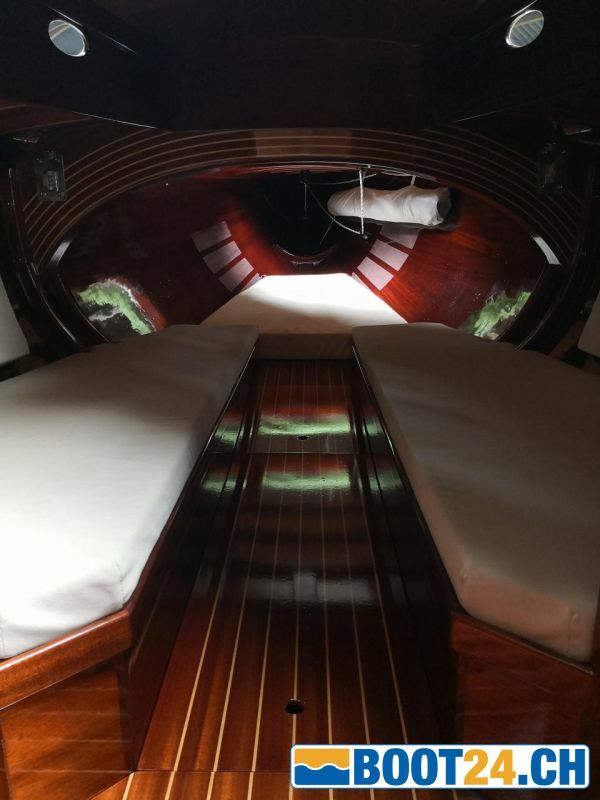 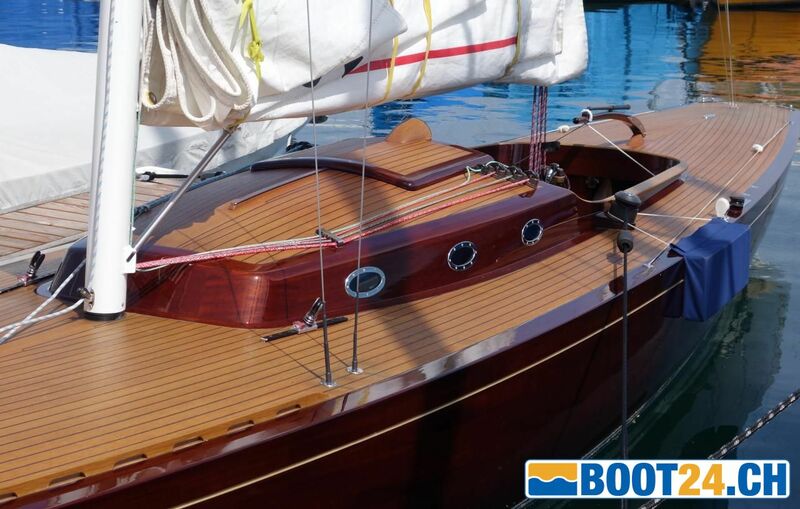 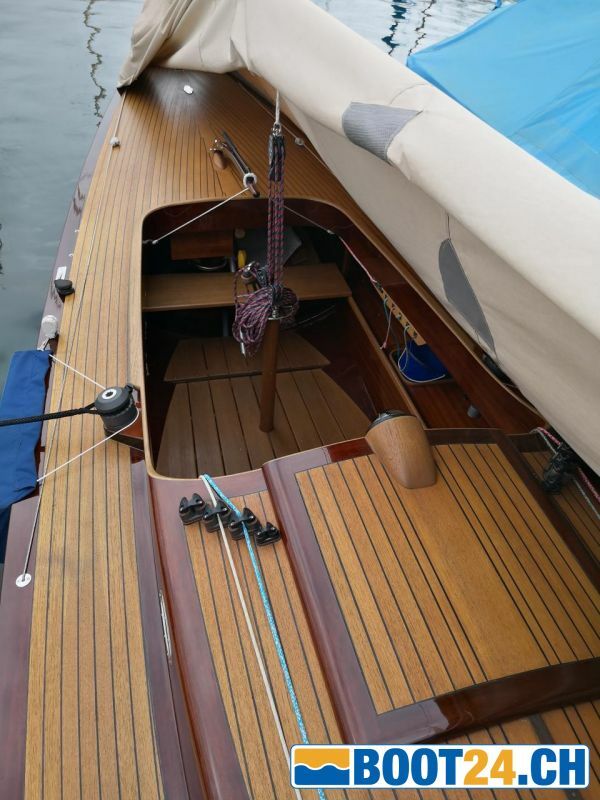 The Lacustre 255 was used both as a regatta boat and lately mainly for relaxed cruising. 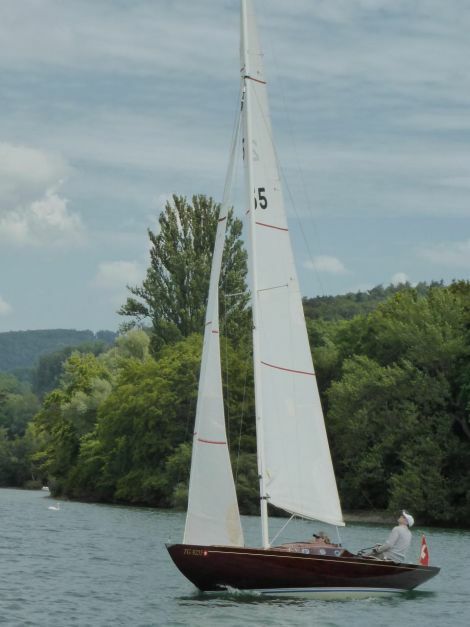 The Lacustre class is one of the most active Swiss Sailing regatta classes (www.lacustre.ch). 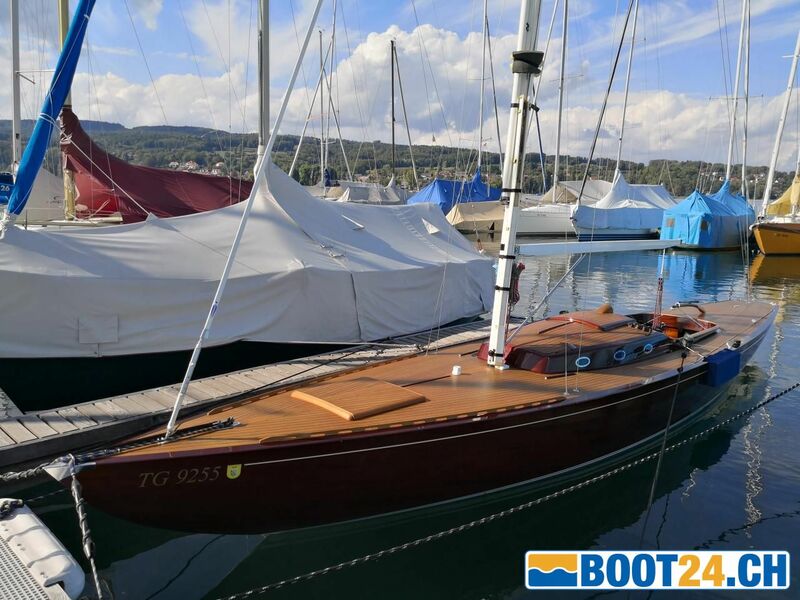 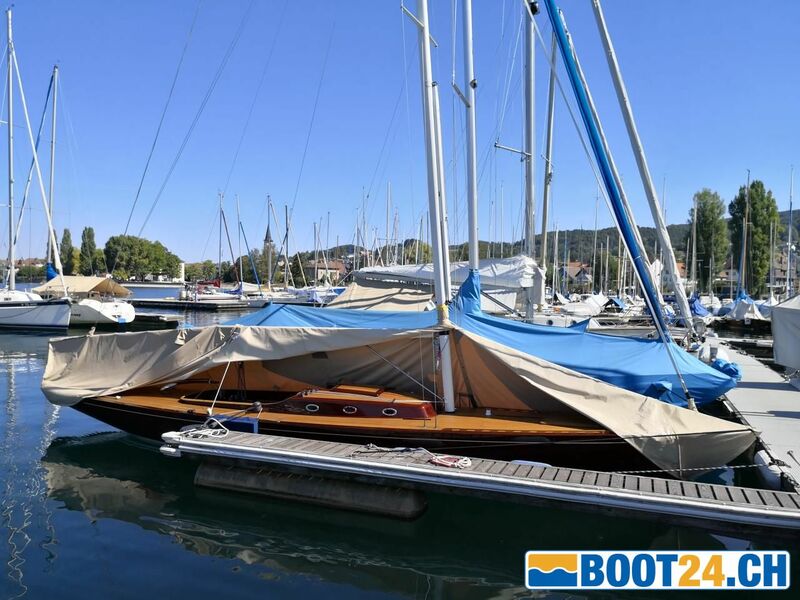 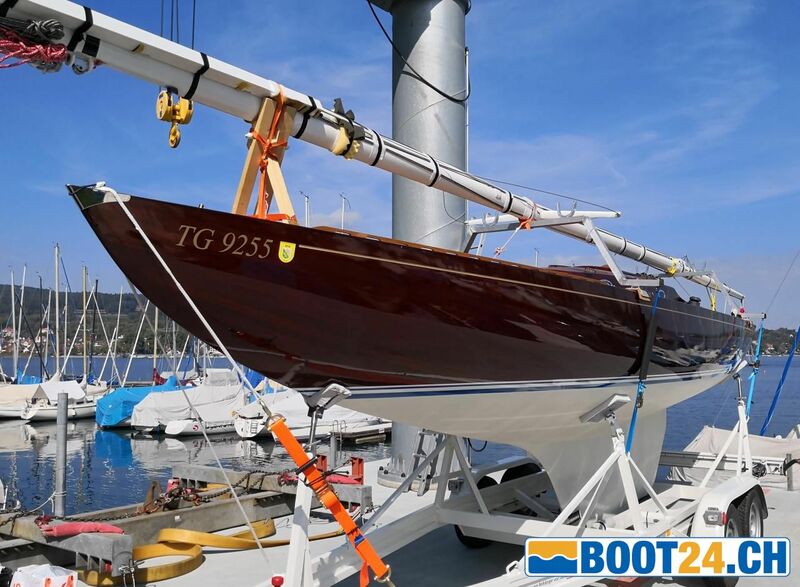 The Lacustre 255 is ready for transport and sailing and is sold with complete equipment including tarpaulin, bathing ladder, sun / rain cover, Harbeck aluminum trailer, various sails, special fenders, anchors, etc. 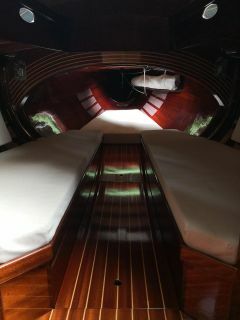 Price according to the state, on request.